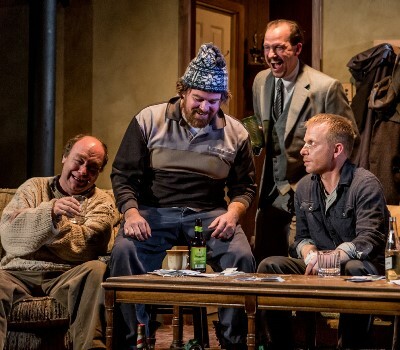 Brad Armacost’s earthy, funny and deceptively nuanced portrait of the blind, drunken brother of a lost soul in Conor McPherson’s “The Seafarer” was shaped in part, he says, by a blessing and a curse. How Irish that both circumstances should spring from the same source. 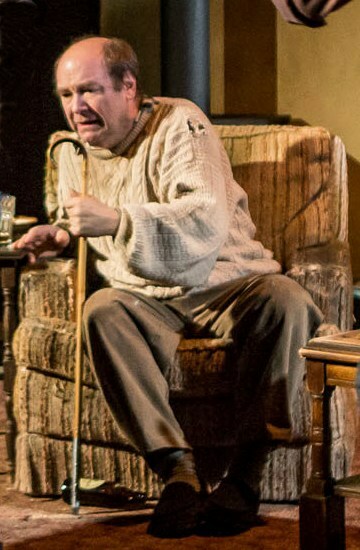 Armacost’s performance as the devoutly plastered Richard Harkin, in Seanachai Theatre’s brilliant go at “The Seafarer,” is his second pass at the play in recent Chicago seasons: He played Richard’s troubled younger brother Sharky, what one might call the passive protagonist, at Steppenwolf in 2009. Now Armacost moves – I should say expands — into the role of Richard, recently blinded but manipulative by long practice, as if the part were written for him. “Actually, it’s the first time I ever portrayed blind,” says Armacost. “That’s easy enough – you learn to sense where sound is coming from, avoid eye contact. The fascinating part is the psychology behind Richard’s blindness, and the metaphor in it. Justice is blind, and there’s the tradition of the blind prophet. Richard ‘sees’ a great deal. 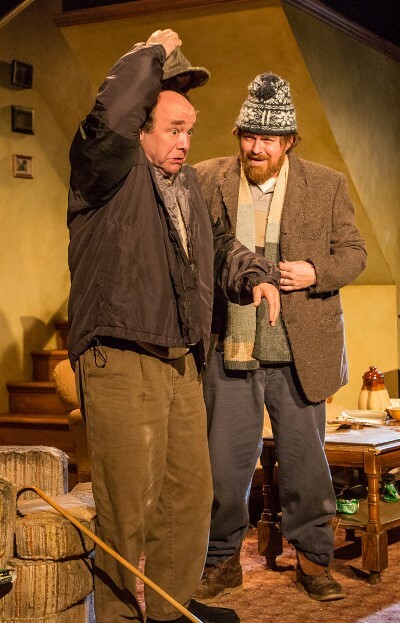 The play is set on Christmas Eve in a dumpy Irish home shared by Richard and Sharky, the latter a ne’er-do-well of many trades, a taciturn man prone to violence and not less partial to hard drinking than his more gregarious brother. But on this night Sharky, recently returned home after losing yet another job, is not drinking. Indeed, he’s been off the stuff for a couple of days. This Christmas Eve the lads are joined by a couple of friends and a stranger who calls himself Mr. Lockhart. 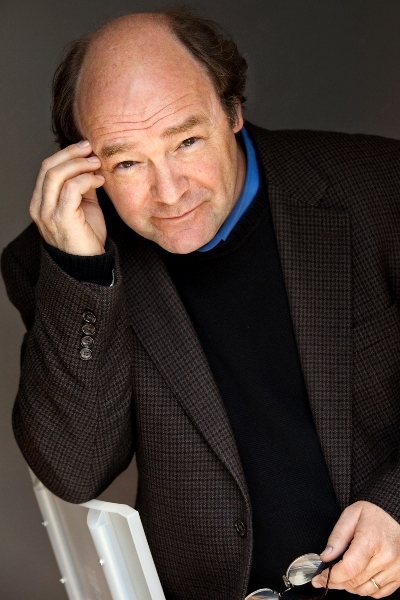 Whenever the others are out of the room, Mr. Lockhart (Kevin Theis) presses Sharky about an old debt he has come to collect: the hapless man’s soul. Mr. Lockhart, it appears, is none other than the devil himself. If the subdued, rather mysterious Sharky compels our sympathy, it is the mirthful Richard, whose every third thought is of the bottle, that commands the eye – and Armacost is a riotous drunk. “There’s a delightful description (in the play) of how Richard was blinded when he fell into a dumpster diving for wallpaper. Wallpaper! Of course, he was jarred (Irish slang for drunk). We even thought of having some rolls of wallpaper lying around, but that would have lent veracity to his tale! This mad fondness for libation finds voice, as Armacost puts it, “in lines left and right.” One member of the Christmas Eve revels, Ivan (Ira Amyx), drunk to stupefaction, has a repertoire of explanations for why one can’t simply walk out of a pub instead of getting sloshed. In this alcoholic haze, Armacost sees Richard, not Sharky, as the one on life’s short leash, Mr. Lockhart’s threats notwithstanding, and believes Richard is alarmed by his younger brother’s quiet intimations of new personal strength. Yet it is Richard, the blind seer, who has Mr. Lockhart’s number, the actor says.